Human Rights Watch (HRW) has stated after an independent investigation that Spanish police used excessive force when trying to stop demonstrators in Catalonia on the last October 1, 2017, the day were the independence referendum was held. The accusation points Spanish Civil Guard and National Police Corps after having used batons and shields to charge at peaceful protesters. According to official information given by the Catalan’s Health Department, almost 900 people were injured during Catalonia’s referendum on independence from Spain. The international NGO spoke to victims and witnesses and review different content such as videos, photos and medical evidence from Girona and Barcelona provinces. Security forces were sent to Catalonia in order to prevent the poll due to court orders. 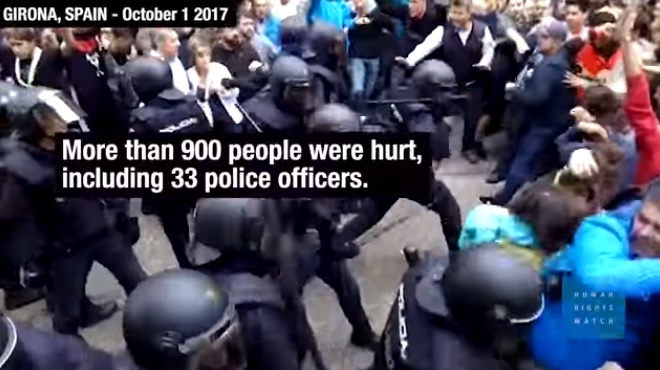 Kartik Raj, Western Europe researcher at HRW that works on counterterrorism, extremism and populism, said that their investigation into three cases found that national police and Civil Guard officers used excessive force on October 1 in Catalonia. “The police may well have had the law on their side to enforce a court order but it didn’t give them the right to use violence against peaceful protesters”, stated on a HRW post on its website. 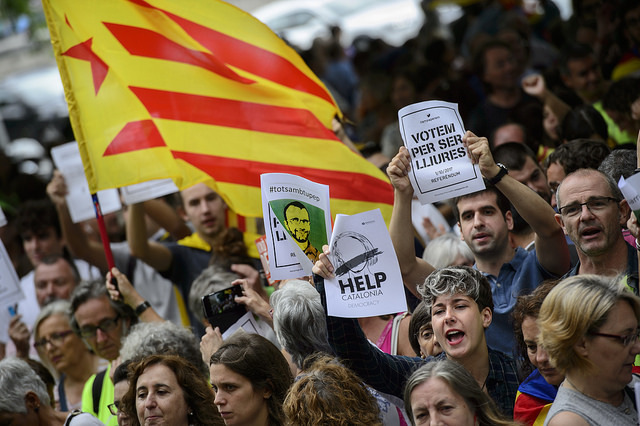 The Catalan referendum was declared unconstitutional by Spain’s constitutional court. Despite of that, the referendum was celebrated massively supported by civil society. Human Rights Watch documented excessive use of force at a primary school in Girona, in the hillside villages of Aiguaviva and Fonollosa (Barcelona province). According to this investigation, footage and photos published by the media and uploads to social networks appear to show instances of disproportionate use of force against people assembled peacefully around polling stations. The Spanish government said that Security forces have followed court orders that “have been wisely executed and in an appropriated and proportionate way”. According to the Minister for Home Affairs Ignacio Zoido police forces did not attack neither citizens nor their political ideas. 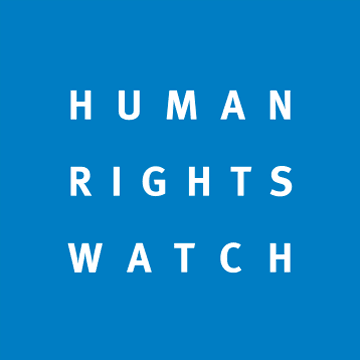 On October 1, a Human Rights Watch researcher travelled to Catalonia to investigate allegations of excessive use of force visiting Barcelona, Girona, Fonollosa and Aiguaviva. Given the presence of unreliable information on social media, HRW spoke face to face with 29 individuals who reported being mistreated by police and 24 eyewitnesses, as well as local authorities. In order to elaborate this report, HRW has also contacted the Spanish government.